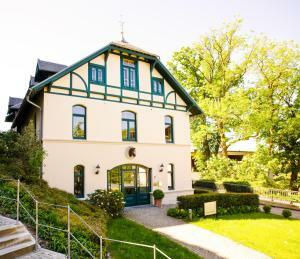 This luxury hotel is set on the Süllberg hill in Hamburg's elegant Blankenese area. 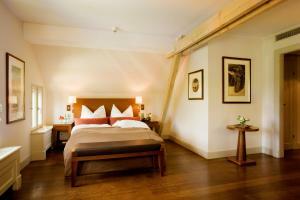 It offers great views of the River Elbe and a 2-Michelin-star restaurant. 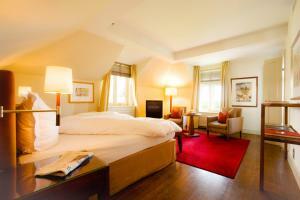 The 5-star Hotel Süllberg has bright rooms with quality wood and fine materials. Free Wi-Fi is available in all areas. À la carte breakfasts are served here every day. The Seven Seas gourmet restaurant offers classic French cuisine. Other highlights include the panoramic terrace, Deck 7 Market Restaurant, and the Seaside Lounge. A limousine service is on offer at the Hotel Süllberg. The Blankenese S-Bahn (city rail) station quickly connects you to central Hamburg.